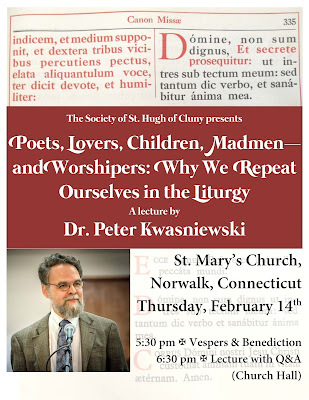 The Society of St. Hugh of Cluny is sponsoring two February events in the NYC area. 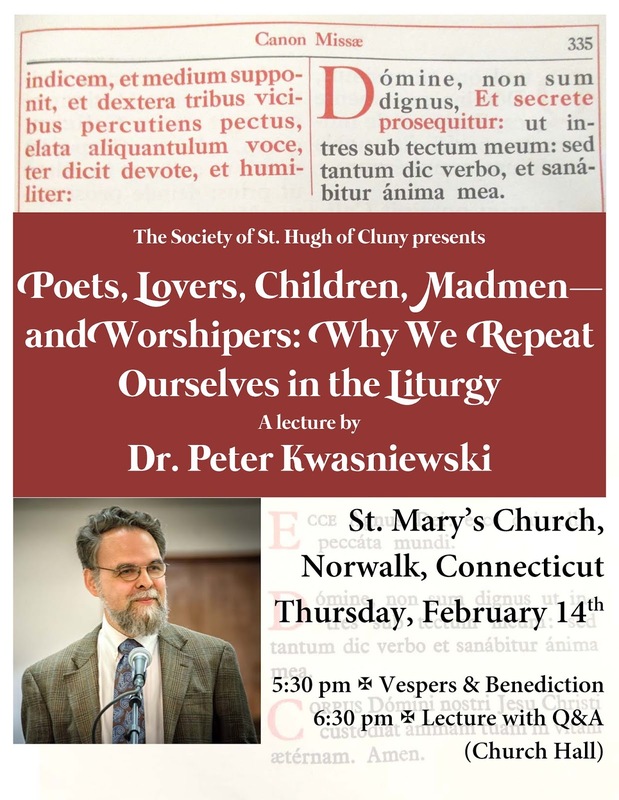 The first is a lecture at St. Mary's in Norwalk by Dr. Peter Kwasniewski on Thursday, February 14th at 6:30 pm, preceded by Vespers at 5:30 pm. The second is the Second Annual Lepanto Conference on Saturday, February 16th, opening with a Pontifical Mass at St. Vincent Ferrer's and continuing with lectures by Fr. 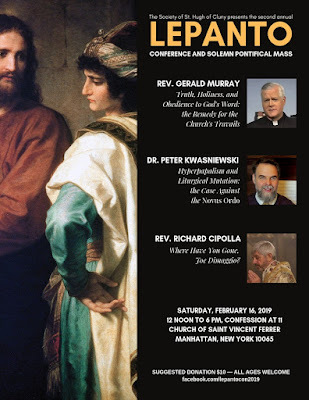 Gerald Murray, Dr. Peter Kwasniewski, and Fr. Richard Cipolla.